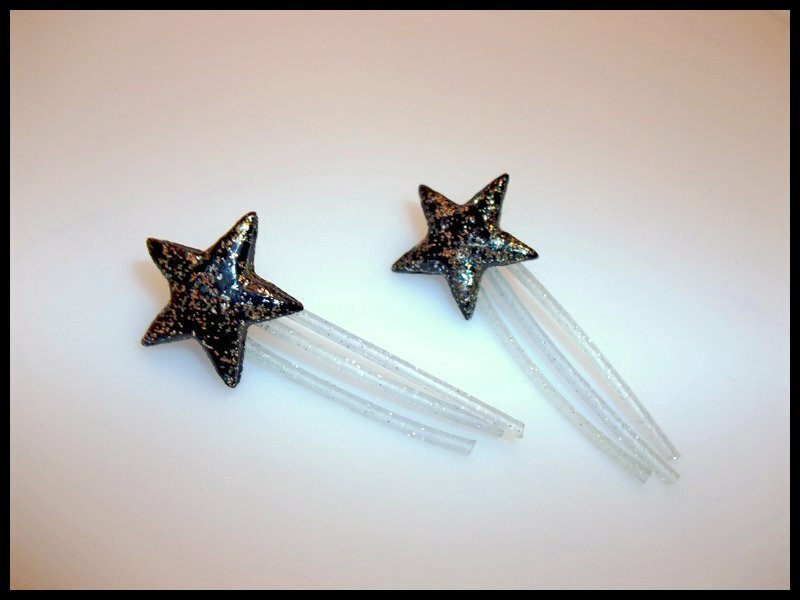 Star pendants covered in gold glitter made from repurposed vinyl. The rest is made of a glittery semi-transparent rubber tubes. Made from a black vinyl record.